We truly believe life is all about healthy relationships. After being married for 32 years, raising three beautiful children, and blessed with 2 grandbabies, we want to focus on helping others live and leave a legacy of significance in their marriages and their families. We’ve worked for 30 years building non-profit organizations through powerful, healthy relationships. In 2012 we formed the company Legacy C3 to serve organizations in building cohesive teams, developing relationships, and coaching leaders. To Families: We focus on establishing a set of quality values for the family to stand upon. These values will provide children a solid foundation that will carry them throughout their adulthood. To Marriages: Couples can become stronger and more intentional in their relationship and the values on which it is founded. To Organizations/Churches: Businesses and churches can thrive because their personal relationships are healthy, and they bring that same level of relational health into their business/church through working as cohesive teams. We both graduated from Indiana Wesleyan University. After Jim finished his master’s degree in Counseling Psychology from Ball State University in 1986, we began a 9-year ministry working with students. In 1995 we moved to California and grew up to adult ministries. October 2000 we planted a new church in the Sacramento area, The River Church. Throughout our ministries and the more than 13 years of homeschooling our children, we developed a burden for marriages and families. In 2009 we published our first book, Faith Legacy: Six Values to Shape Your Child’s Journey. In 2012, our second book, Faith Legacy for Couples: Seven Values to Shape Your Marriage was released. You can Purchase each of these here. In 2012 we completed training as commissioned ministry coaches. In April 2015, Jerolyn received her ACC certification with International Coach Federation. 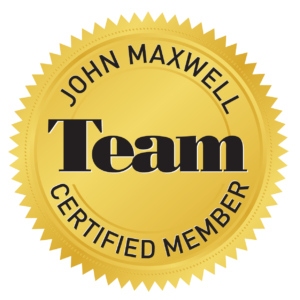 In February 2018 Jim completed his coaching certification with The John Maxwell Team. Our passion is to speak to groups about building their families/marriages on strong values and coach them to a life of significance.